use a little extra help? Whether it’s for that extra assistance at home after a hospital stay, some needed help and companionship or as a respite for the husband or wife who is caring for an ailing spouse, you’ll enjoy peace of mind knowing that your loved one is being watched over and taken care of. You can depend upon us... No need to rely on a neighbor or your children for assistance, you can depend on us. Family members can be assured that the utmost care will be provided by mature, competent and nurturing individuals who will assist in performing all the activities of daily living. And service is not just limited to the home. Caregivers will assist whether at a hospital, rehabilitation center or nursing home. Advertising, recruiting, screening and training to provide you with only the most experienced and caring professionals. And, should your Caregiver need "time off" for any reason, relax... we have backup relievers who are always on call. Plus you have our "Guarantee." If you are not completely satisfied with the Caregiver we refer to you, we will assign another Caregiver immediately. We will only assign a Caregiver that we would trust with our own family. The Caregivers we assign to you all have years of ElderCare experience and enjoy working with our seniors. They are truly dedicated, trustworthy and compassionate people. Moreover, they are thoroughly screened and receive additional training from us before being placed on any assignments. • Some of the lowest homecare rates in the industry. • A "family" oriented business, not a franchise. • No Up-Front fees or registration charges. • No premium rates for weekends or holidays. • No cancellation penalty. Cancel at any time. • Caregivers receive additional training by us. 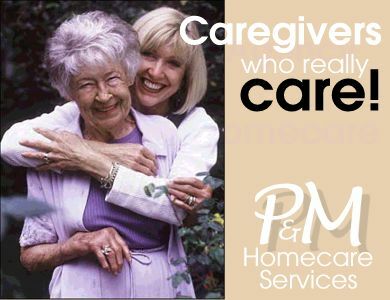 • Caregiver "relievers" or "backups" are on call 24/7. • Licensed by the City of N.Y. and Fully Bonded. • Weekly case management follow-ups and reviews. • Caregivers are thoroughly screened. • All references are checked and verified. Licensed by the NYC Dept. of Consumer Affairs. License No. 1163052. Fully Bonded. Member: National Family Caregivers Association. 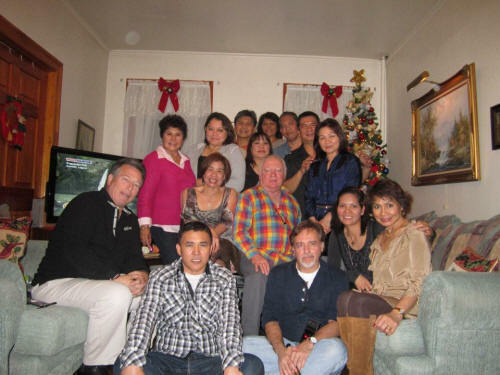 Some of our many dedicated caregivers at a recent office party. 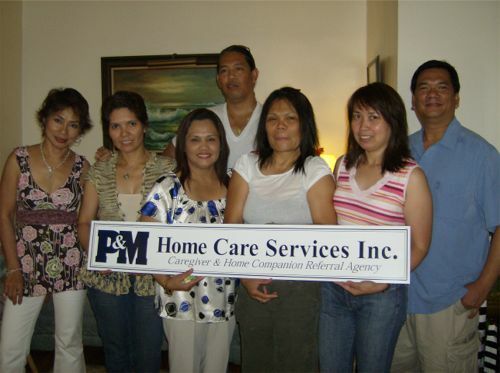 © Copyright 2004-2015 P&M Home Care Services, Inc.